Jeff Peterek started his major league debut in 1989, facing the Yankees. He ended up getting into the eighth inning, giving up two hits and two runs and getting a no-decision. The outing was good enough for his manager Tom Trebelhorn to compare Peterek to another option, and look to the future. "He came in at the right time and pitched a great game," Trebelhorn told The Milwaukee Journal after that August game. "He pitched better than Don August had been pitching, so it was a better alternative. He certainly didn't pitch himself out of the picture." Peterek, though, had few other opportunities to pitch in the majors. After that debut, he got into just six more big league games, getting into a total of 31.1 innings that year with the Brewers. After that first no-decision, Peterek never got a major league win. Peterek's career began in 1985, signed by the Brewers as a free agent out of Lake Michigan College. Peterek played that first year at single-A Beloit. He went 6-2, with a 2.88 ERA. He moved to single-A Stockton in 1987, going 15-6, with a 2.88 ERA. 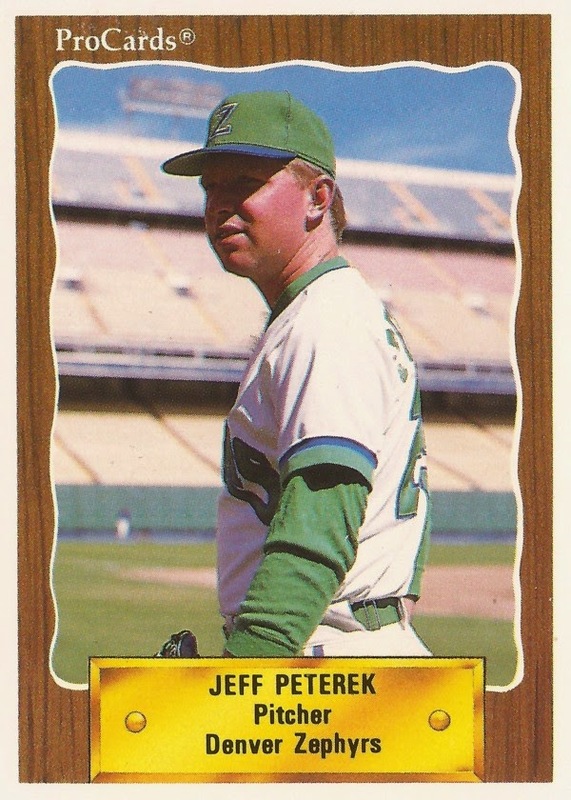 Peterek made AA El Paso for the first time in 1988, then made AAA Denver in 1988. Peterek returned to Denver in 1989, going 9-9 on the year, with a 3.61 ERA. He also got his call-up to Milwaukee in August. Trebelhorn told The Milwaukee Sentinel Peterek was called up simply because he was pitching the best. "He's not an overpowering pitcher, but he's a tough competitor and keeps the ball down," Trebelhorn told The Sentinel. "We think he can come up and give us a good spot start." Peterek did give that good spot start, with that first outing. He went on to get four starts, along with three relief appearances. He posted an overall ERA of 4.02. For 1990, Peterek returned to Denver. But he got into just nine games, six starts. He went 2-3, with a 6.82 ERA. By the end of May, he was released, arm problems taking their toll. Peterek came back for one more shot, in 1991, with the Braves at AAA Richmond. He got just six relief appearances, ending his career.